What if It's Not Online? Covers nursing, biomedicine, health sciences librarianship, consumer health and 17 allied health disciplines. Indexes over 650 journal titles, audiovisual materials, computer programs, dissertations, books and book chapters. If you are off-campus and need to register for an account, connect to Web of Science and create an account there. http://libux.utmb.edu/login?url=http://isiknowledge.com/wos. Once in Web of Science (WOS) use the Sign In link at the top of the page to create an account. This account will serve as your EndNote login and allow you to save searches in WOS. Bibliographic access and descriptions of tests, manuals, rating scales and other instruments used to assess health and behavior. HaPI does not offer access to the test instruments themselves, but includes citations to freestanding instruments as well as instruments that have only appeared in journal or technical reports (published and unpublished). Copyright permission is needed to use any of the instruments found in HaPI. an abstracts and citations database of peer-reviewed literature. It allows for discovery of articles, as well as cited reference searching (number of times an article has been cited). It indexes nearly 23,000 peer-reviewed journals (including open access journals), trade journals, book series, conference proceedings, and pa-tents. Scopus is multidisciplinary, covering life and health sciences, agriculture, environment, engineering, technology, social sciences, landscape architecture, urban planning, and more. Using Library resources from off-campus is almost identical to on-campus access, as long as you start from the Library's home page. When you are off-campus, the first time a resource is used, you will be prompted to log in with your UTMB email username and password. The system should remember your login information for subsequent resources as long as you do not close your browser. Make sure you are using the Library's web page to access resources so you can be prompted to login. Watch a video to see how to login from off-campus. MyVPN is available from UTMB Information Services. Signing into MyVPN gives your computer a UTMB address. This will allow you to access Library resources without an extra login step. Essential Evidence Plus Description of this database. Each package contains many different titles. Search for your topic across all books in the collection or browse to a specific title. Over 400 titles on the Ovid platform. Note: Clinical Key replaces MD Consult. provides a complete and up-to-date compilation of immunological and biological reagents and who sells them. Sources for antibodies, assays, cytokines, enzymes, recombinant proteins, tissues, and organs are included. The test information, given in outline form, includes background material and explanation, interfering factors that can cause false results, procedure for specimen collection or test completion as it relates to patient involvement, clinical implications and disease patterns, patient preparation, patient aftercare, and clinical alerts that signal special cautions. 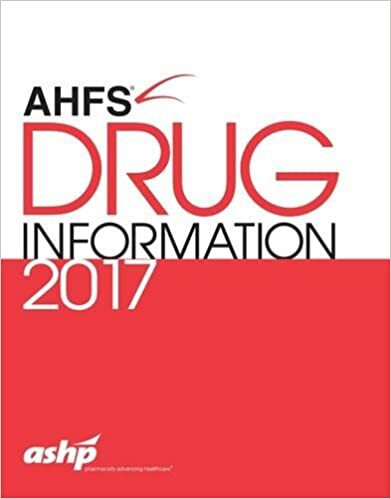 The Electronic Orange Book is updated daily as new generic approvals occur to provide timely consumer information on generic drugs. identifies drug products approved on the basis of safety and effectiveness by the Food and Drug Administration (FDA) under the Federal Food, Drug, and Cosmetic Act (the Act) and related patent and exclusivity information. Some Library resources simply use "mobile friendly" interfaces to allow access on mobile devices. Others have developed apps to facilitate access. Before you download the Access Medicine app, you must first create a My Access account in Access Medicine. If you don't have a My Access account, then begin with Step 1 below. If you already have a My Access account, then skip to Step 6 below. 1. Visit www.accessmedicine.com when you are within UTMB's network. 2. Click the arrow next to University of Texas Medical Branch at the top of the page. 3. Click on "Login or Create a Free Personal Account". 4. Click on "Don't have a MyAccess account?". 5. Enter required data and click "Create Account" at the bottom. 6. Search the App store for "Access Medicine" and download app. 7. When prompted, login using your My Access credentials. *For continued access to the app, the user must have an active My Access account and sign in every 90 days through UTMB's network, either on-site or through a VPN. journal reading management application developed by ThirdIron and accessible through the UTMB Moody Medical Library subscription. It allows you to pull together journals you are interested in and access them through an iOS or Android mobile app, or a web interface. It interacts with full text subscriptions from hte Library by providing easy access to our full text content. While Browzine covers most of the major publishers, not all journals are represented. You can also request Browzine add a journal if it is not listed. Browzine maintains a list of current journal requests so you can search a journal, vote for an existing request, or add a request of your own. access abstracts, read selected reviews, and view full-page summary of findings tables. With access to a range of topics each month, you can create a reading list tailored to your own interests. All content in the app is free, and new issues will be downloaded regularly to your Newsstand. First Consult is available through our institutional subscription to Clinical Key. Before you download the First Consult app, you must first create an account in Clinical Key. If you don't have a Clinical Key account, then begin with Step 1 below. If you already have a Clinical Key account, then skip to Step 4 below. 1. Visit www.clinicalkey.com when you are within UTMB's network. 2. Click on "Register" at the top of the page. 3. Enter required data and click "Register" at the bottom. 4. Search the App store for "First Consult" and download app. 5. When you first open the app, 3 options will appear. Choose option 1 ("I use First Consult and know my username"). When prompted, login using your Clinical Key credentials. Must register for a CE ID in the web version in order to activate the app. Android/Apple. Create a "My STAT!Ref Account" on the web version and click on "Temporary Login Account" to make the app work. Create an UpToDate account online and use those same credentials to access the mobile app.